Eddie Murphy may or may not be dating singer Toni Braxton, but he is willing to commit to another role at the Academy Awards. 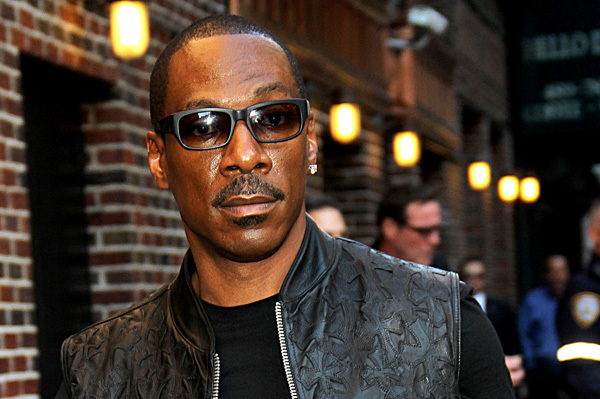 Eddie Murphy disappointed his fans when he pulled out of hosting the 2012 Oscars when his friend, Brett Ratner, quit his producer role with the show after an ill-advised gay slur. The comic hasn’t dismissed the idea of one day hosting the show, though. He told Access Hollywood that he would consider hosting the show if the opportunity comes up. That doesn’t mean he thinks his colleague, Billy Crystal, didn’t do a good job. The Tower Heist star is right about that, though he probably would have caused more controversy than Crystal did with his blackface. He’s always had a sharp comedic style, even though he’s curbed it over the years with roles in movies like Shrek. Now, the comedy star is trying out something different for his role in A Thousand Words: Not talking. Despite everything he’s done, there is still one thing he won’t do: Get naked for comedy.